The German term for characters or letters is “Buchstaben,” literally “Buche” (beech) and “Stab” (rod or stick), and dates back to the Germanic custom of carving runic characters in beechwood sticks. On New Year’s Eve, 2014, I used the occasion to cut “real beech characters” myself. I carved all the characters of this font in woodcarving manner, without tracing and mirror-inverted, in smoothly planed beech rods. 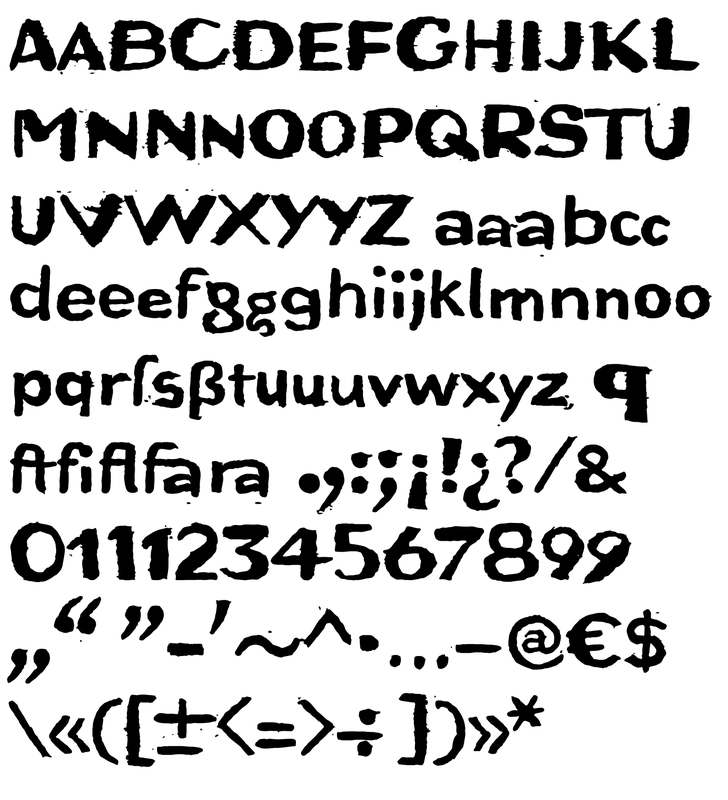 After printing on paper, the digital font you see here was created from the negative typeface. Originally planning an alphabet of capital letters only, I ended up carving figures, punctuation marks and lower case letters after all. The capital letters emphasize alternation between bold and fine strokes, which is familiar in Roman typefaces. 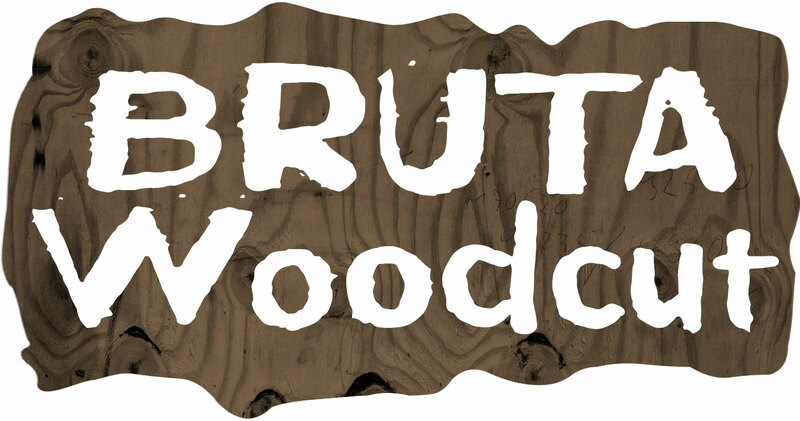 In this way, the upper case text in Bruta Woodcut obtains its very own aesthetics. The ductus on the lower case letters is plainly not as distinct. They look more like a classical sans serif, which becomes clear as the smaller a text is set in Bruta Woodcut, the more legible it becomes. The original image was negative. In contrast, the font consists of the positive typeface. 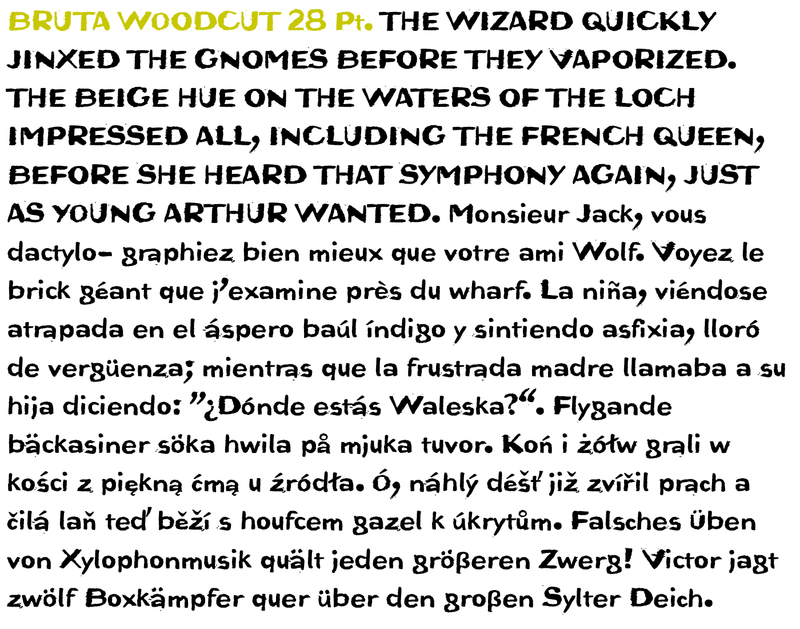 Bruta Woodcut includes lots of ligatures and stylistic alternates for some symbols. 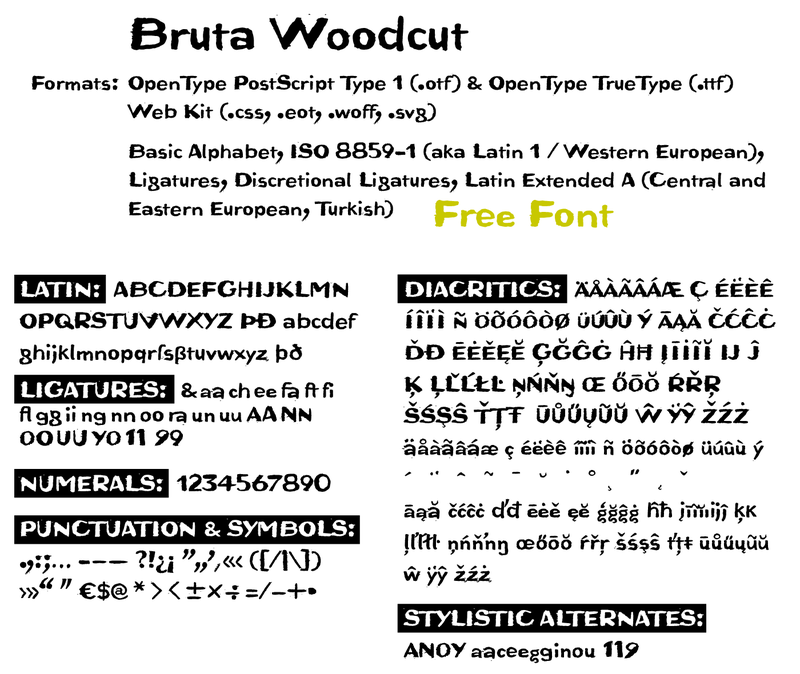 Thanks to OpenType and Unicode, Bruta Woodcut supports all Western European languages plus Central and Eastern European languages as well as Turkish.